Google has made several algorithm changes in recent months that continue to point to the obvious; Google is rewarding users that use their tools with better search engine rankings. And this includes video. It only makes sense, right? Why would Google rank a video hosted on Vimeo higher than a video hosted on their own platform, YouTube? It’s likely they wouldn’t. So if your SEO strategy can include video (and it should), be sure to use YouTube to host them. This past summer, Google released an update that dramatically reduced the prevalence of video snippets in search results; however, video on sites like YouTube (where reliable secure video hosting is provided) have not been penalized in the update. In fact, YouTube became the overwhelming source of video in Google search results. 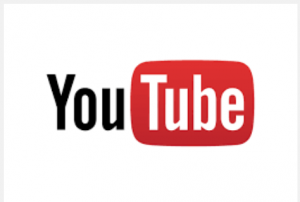 As a marketing channel, YouTube’s value has increased considerably. YouTube channels can also be linked to a personal or business Google Plus profile, where newly uploaded videos are automatically swept in as posts on a Google Plus wall. If you’ve followed our past posts on Google Plus, you know the importance it plays in local SEO efforts. The bottom line when it comes to video SEO, Google’s algorithms will highlight its own channels wherever possible. And so if you want as many people to see your video as possible, you should be using YouTube. If you’re ready to start making YouTube a part of your SEO strategy, read our blog about how to optimize your video on YouTube for SEO success. Should Video Be In Your Marketing Mix? For the small to medium sized business looking afor cost effective marketing solutions: YouTube says that *1 billion unique users* now visit them every single month! What this tells us is the broad expansion of high speed data networks NOT only make the video consumption experience accessible, but convenient & fast! And with Internet-enabled smartphones & tablets offering the consumer on- the- go mobile connectivity, they may very well be visiting YouTube for video over written content when searching for business information OR instruction. Is Video Effective As A Marketing Tool? It’s not likely that video will ever replace the written word, but under certain circumstances it certainly performs. Video is 12X more likely to be shared than written content. Talk about content marketing and web optimization! And many will agree that video is easier to digest, so if leveraging content to drive more traffic is a goal (and it should be), video is certainly going to be a complimentary marketing & advertising tool. Not Quite Sure How Too Produce Video? If you’re not producing video content yet it’s NOT going to be difficult to jump in and start. The type and quality of video you’ll want to produce depends on the purpose, the brand and the target market, but cost can be minimal to nothing. The fact is virtually every modern PC either offers a camera with recording capabilities or easily allows them to be plugged in. Smartphones offer this too and there are countless other options to create and save video for upload to a website. We do a lot of WordPress tips & instruction using inexpensive screencasting software. In our case it’s a customer service tool and we produce simple screencast videos to do it; however, we’re not shy about mixing in the random advertising video either. For instance, ‘What Does Responsive Website Design Look Like?‘ means to both educate & advertise on the subject of our leading design services. Typically we create video when a client asks a good question and we feel that answer is going to be useful to others. Once created, we upload to the Kinetic YouTube channel where we can optimize with titles, descriptions and other useful configurations. If you’re using a phone camera you maybe be able to set up a YouTube app’, but if not it should be simple to email it to yourself where upload from a PC is simple! A second and very different example is this NYC Real Estate Team who has committed itself to local authoritative, yet at the same time super folksy, brand marketing video content. It’s on- location based video in the Soho neighborhood of Manhattan and they use a professional videographer for quality required when presenting their unique brand. And they also choose YouTube! Why Consider A YouTube Channel? First, a video uploaded to YouTube is stored for FREE. Granted there is some advertising to contend with, but video files eat up storage creating cost. And short YouTube or other video host support, they also require media player application hosting and special care for load speeds. Second, YouTube offers a ‘per video media player embed code’ easily used in other websites and social networks. 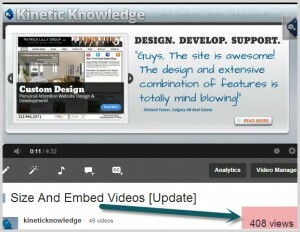 With simple embed code, views will easily multiply! The third is search & web optimization. What’s indexed in YouTube is automatically indexed by Google. Google obviously being the most trafficked search engine in the world; YouTube being the most trafficked video search engine. And fourth is shelf life: versus television, when video is hosted on YouTube and in other places (via the embed code) views and exposure to new audience can be endless. And it’s a heckuva lot cheaper than producing a television commercial, not to mention the potential for more and more visibility. You have valuable knowledge and your target market is likely searching for it every day. It’s likely many appreciate video, possibly because they are on the go using mobile devices and video can make consumption more convenient. And sure, planning an approach to video is key depending on what and how you’d like (it) to be presented. No one ever said marketing was easy; however, basic video creation solutions & YouTube certainly make this form of advertising cheaper, easier and potentially much more valuable! YouTube: Is It Important For Business? For Video, We Recommend YouTube! Video content is sought after online. If you create and host it on YouTube, know how optimize it! YouTube offers free hosting, albeit ‘free’ justified by advertising. YouTube offers embed code, so you can take your videos anywhere online… and still have them hosted free. 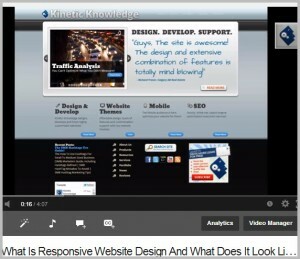 YouTube is the 2nd largest search engine on the web, maximizing your traffic opportunity. Google is the largest search engine, it places emphasis on video in its search results and it owns YouTube 😉 And finally, YouTube offers a number of incredible video optimization tools that go the extra mile toward ‘Better Video Optimization’. SEMOZ.org did a nice video the other day on what helps to optimize video in YouTube and we’ll embed that video below, but let’s list important takeaways here for your convenience. Keyword Rich Titles – Search engines can’t make sense of video content on their own, at least not well enough yet. You’ve got to use targeted keywords you’d like the video to be visible for. Your titles should be succinct, but impacting enough to draw attention as it’s your title most people see when searching and then deciding what to view. Keyword Rich Descriptions – Very much like with your titles, you’ve got to use targeted keywords in your descriptions. Consider descriptions as an opportunity to add more detail and more targeted keywords. Tags – Use keywords that best represent your video, but those that appear in your title and description are good to use too. Transcription In Description – Admittedly, we don’t do it but writing out the entire video transcript in text is encouraged. Like we mentioned, search engines can’t make sense of video content well enough yet. Activity – Search engines need more relevant & timely content every day to satisfy those searching for it, so if you’re an active producer of video the algorithm is going to notice and you’re going to be seen as an opportunity! View Count – Get them anyway you can, add your videos to your sites, social network accounts and anywhere possible. High view counts means your relevant! Inbound Links – Not all links count anymore, but what search engines see as good links do! So anything you can do to get them coming in from reputable sites… do it! If you can make it happen via highly descriptive anchor text, a big bonus! Social Shares, Likes & Favorites – They’re like votes and search engines pay close attention to social activity like this! Embeds – When folks do exactly what I have with the SEOmoz video below [when they do same, with your video], it’s a highly weighted signal! Comment Activity – Again, if people are reacting to your videos it’s a signal the video is relevant. Comments signal interest… just be sure to moderate those comments in order to prevent any bad links or behavior.